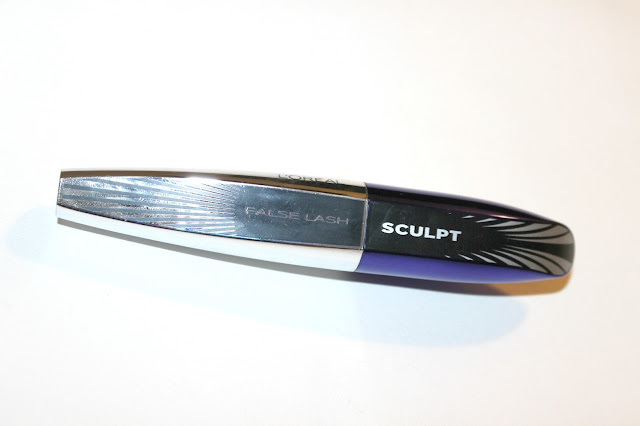 LOREAL FALSE LASH SCULPT MASCARA | REVIEW. As you may already know I'm a huge fan of the L'Oreal mascaras. My holygrail mascara use to be the L'Oreal Lash Architect, but they discontinued it last Summer. I couldn't believe it and I haven't found a mascara that I've wanted to repurchase since I last used that one. Anyway I was on the look out for another new mascara and I was just browsing the L'Oreal stand in Boots. That's when I noticed the new False Lash Sculpt mascara. So we all know what todays review is going to be about don't we? The main selling points of this mascara 'tightlines at the root, volumes at the core and fans out at the tip'. I think that was what just about sold it to me and not to forget the mascara wand! When I first saw the applicator of this mascara I must admit I was a little put off as I tend to go for the bristled brush mascara ends rather than the rubber/plastic applicators. 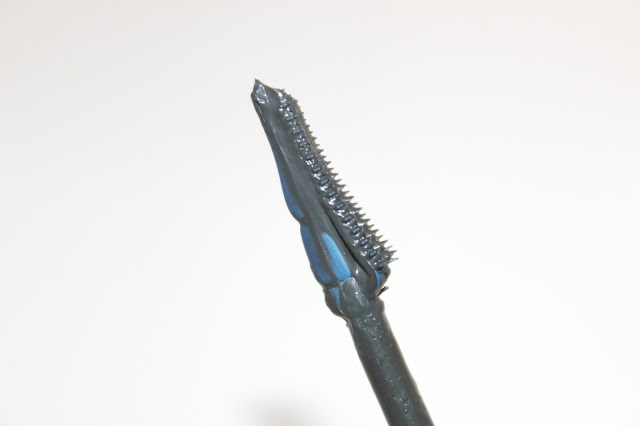 Now not only is the applicator rubber, but the rubber bristles are really short and only on one side of the wand? I couldn't really see how it was going to work, but the curiosity of this mascara won me over as you can see and I'm so glad it did. After I purchased this product I went home, removed my make up and tried it out. I was amazed right away. The comb is the perfect fit for the eye and it really does get to the root of the lashes. It must have taken me about 30 seconds/1 minute to apply one layer of mascara and to feel truly happy with the outcome of the lashes. How quick and ideal is that for when you're in a rush first thing in a morning? So here are the results below. As you can see above the left eye is the eye without any mascara (excuse the blonde eyelashes I'm in desperate need of a tint) and the right eye is the eye with the mascara applied and may I add that this s just one layer of mascara. Can you believe it? Any product that makes it quicker to get ready in a morning with these results are a win win for me. I have also tried this mascara with two coats, that's when you get even more thickness from the mascara, I much prefer just one coat. So it's definitely build able if you like a more intense look than the lashes above. Now this mascara may not be the one for you if you don't like intense, defined, long lashes that really make a statement. It's not the most natural mascara, but I've never been one for light mascara. I've always had to use two/three coats to get this look with previous mascaras. So yes this mascara has totally won me over and I've been wearing it everyday since I purchased it. There's no crumbling throughout the day or smudging on the eyes above or below. The only thing I have noticed is that it takes a little longer to remove from your eyes on a night, but that's nothing a little eye makeup remover can't sort out. First thoughts.. wow the brush looks a little scary! Second thoughts, your results look amazing, I think I need to invest.